We have been providing support and maintenance services for years now. 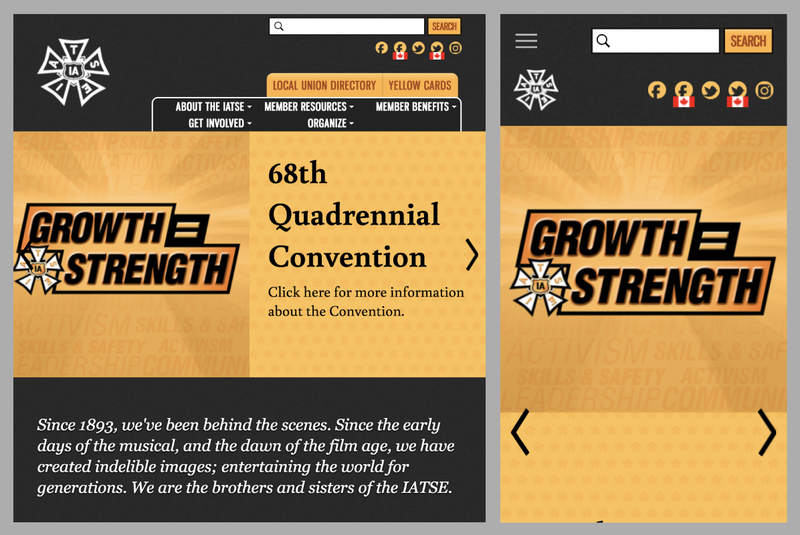 We have also assisted IATSE in doing some major overhauls to their header, navigation system and the way they promote content on their homepage. We have been providing support and maintenance services for several years. We've provided functionality bugfixes, visual improvements, third-party widget integrations, Drupal security updates and more. We have also assisted IATSE in doing some major overhauls to their header, navigation system and the way they promote content on their homepage. As part of our support services, we sometimes add new capabilities and fix bugs. 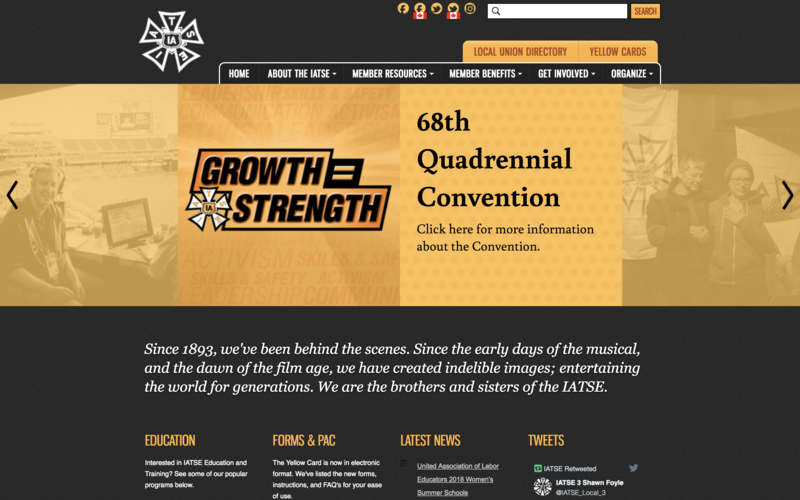 This ensures that the website stays useful for IATSE as their needs change. Things break or don’t work as intended sometimes - this is the nature of having a web presence. We’re there and ready to help diagnose alternatives or come up with a solution that works within budget and time constraints. Users had been finding it hard to locate information on the site. There was no visual indication for site visitors for helping to find commonly sought-after pages, and there was lots of space not being utilized. While they had a mobile menu, it was not very user-friendly. Further, their search form was not obvious or following accessibility best practices. To clear up those problems, we completely rebuilt their navigation from the ground up. 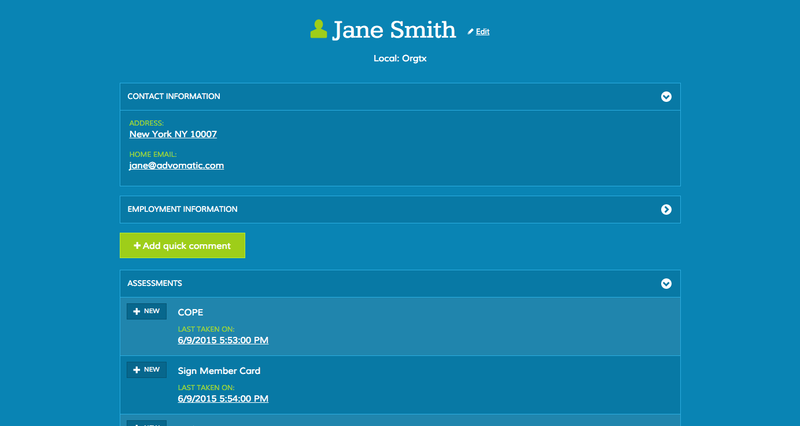 We added a modern dropdown menu system that was accessible to all site visitors. 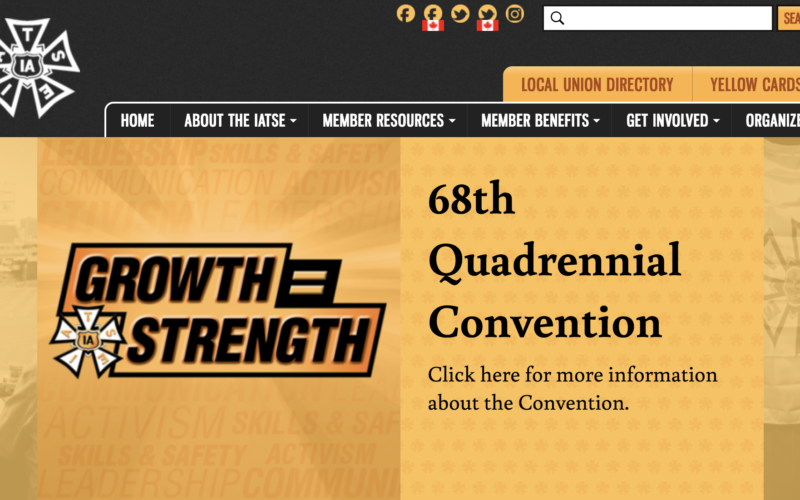 In addition, we also provided a way for IATSE to include "call to action" buttons that assist immediately point users to critical pages of the site. The mobile menu was replaced with one which was smoother, cleaner, easier to use. 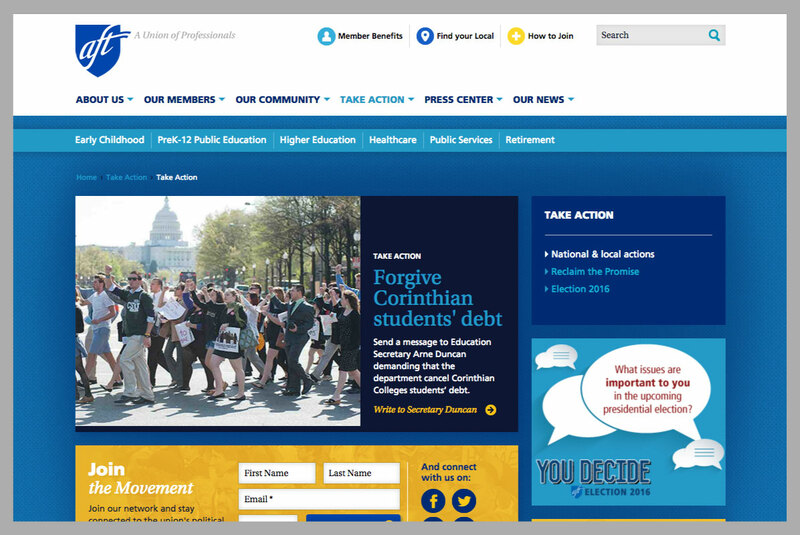 After tackling the header, we turned our attention to the homepage’s content problems. 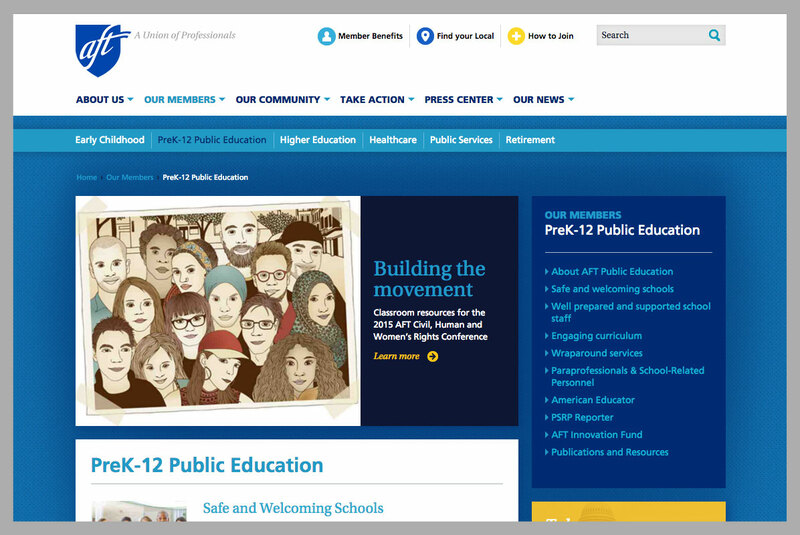 In short, there were concerns that the homepage could be used better to hook users. 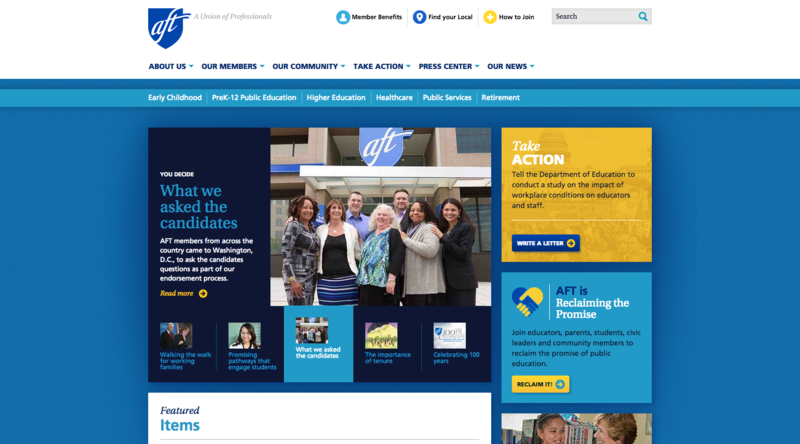 AFT needed a site that would better engage and mobilize their members to take action on issues they care about. 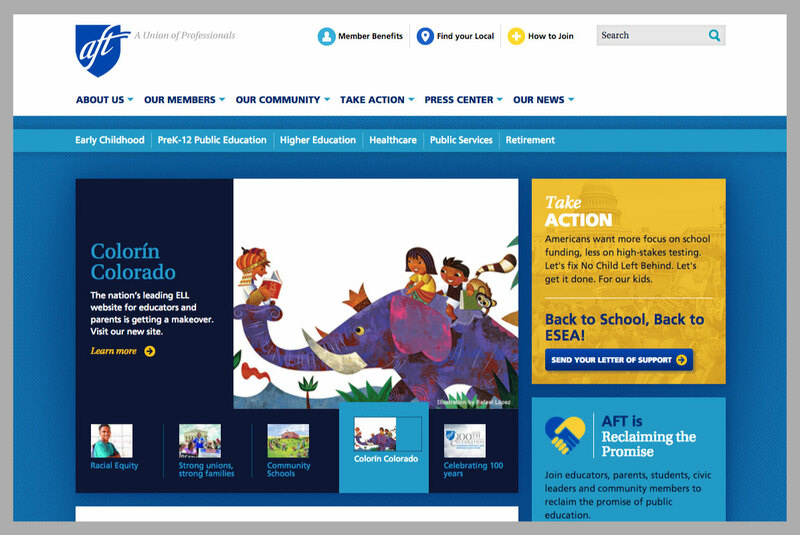 We built them beautiful new site with complex functionality and simple administration. 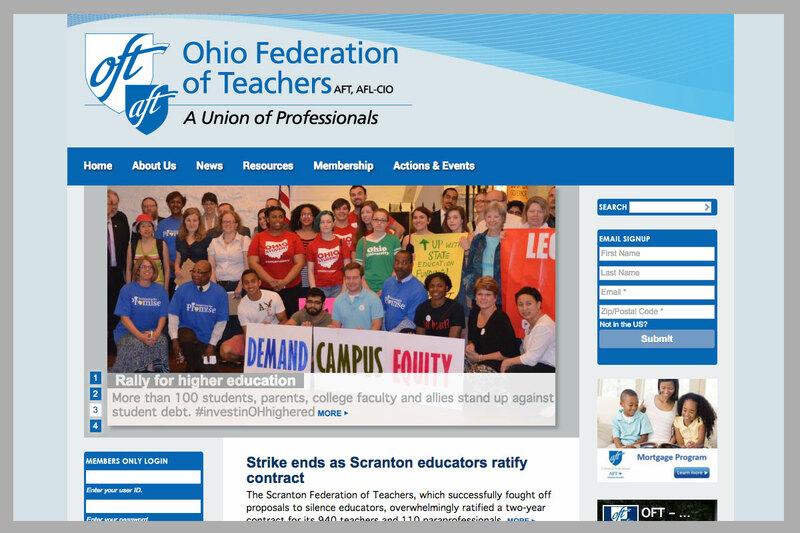 We created a mobile app to help the AFT collect information about its members on the go. 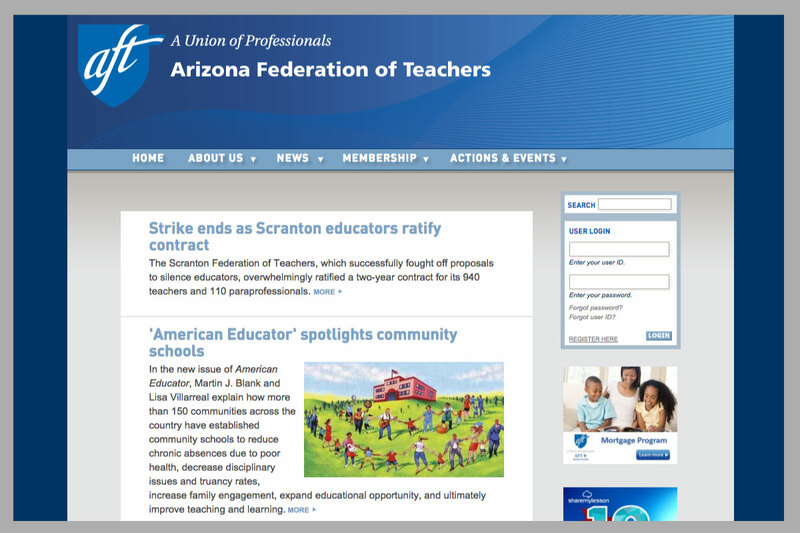 AFT union organizers have conversations and conduct surveys in the field to gauge engagement and needs in the union as a whole and in specific initiatives. Historically, they had been collecting this information in the field, then entering it on a desktop computer once they got back to the office. They came to us to simplify this process, wanting to collect the right kind of information, in real time. 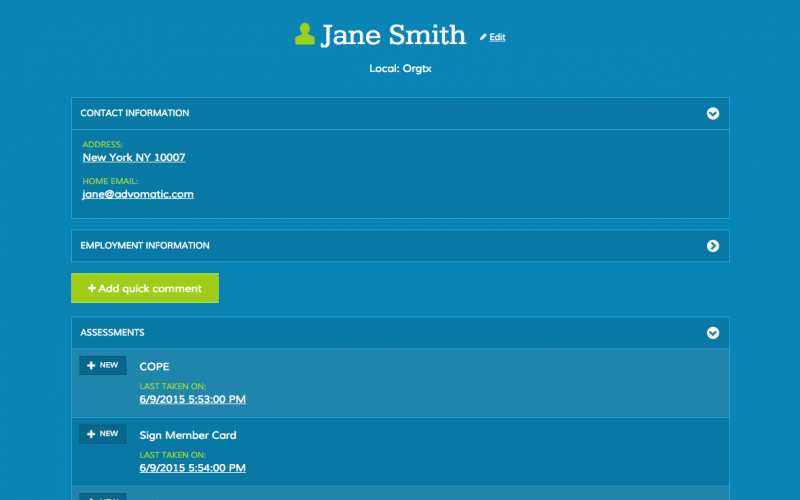 We created a mobile-optimized web app that allows them to view and submit information directly from the field. Since the app is almost entirely used on mobile, speed was a huge factor. We trimmed the fat on all levels of the app, ensuring it would load quickly even over slow connections. We built the app to be extensible, so whenever necessary, they can adjust what information the app displays, make edits, and send it back to homebase. 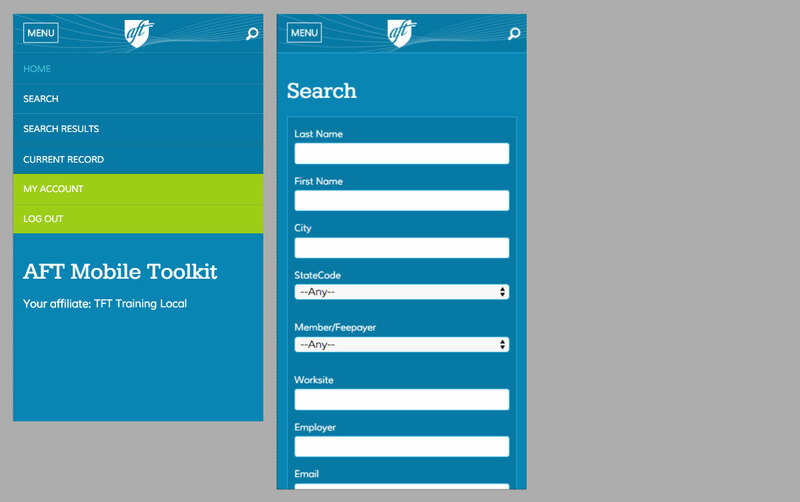 We designed a simple, clean user interface for easy in-the-field usage even on small phones. We co-designed a reusable API that provides the tools necessary for communicating with their databases. This API can be used not only by the Mobile Toolkit, but also by any other future projects that need a simple path of communication. 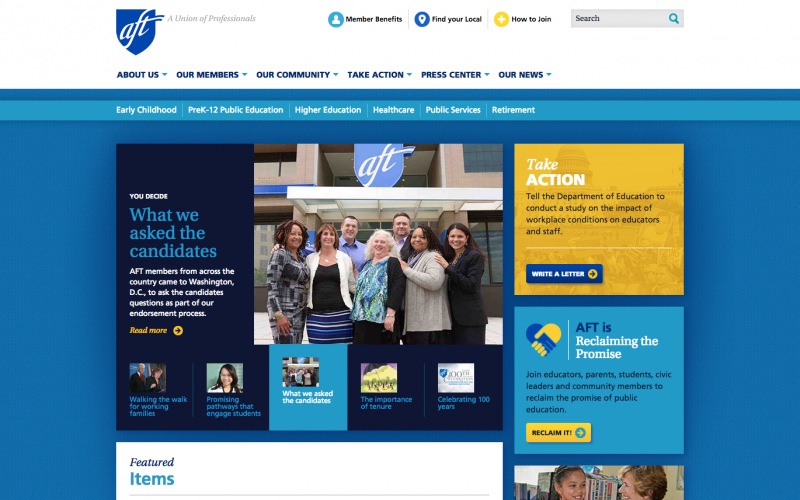 The American Federation of Teachers, representing 1.5 million members in more than 3,000 local affiliates nationwide, came to Advomatic when it was time to move Stateweb to Drupal for a more powerful and flexible platform.